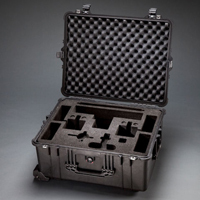 Case Fit® 260 is UFP Technologies' proprietary foam material used for fabricating custom inserts for protective cases. 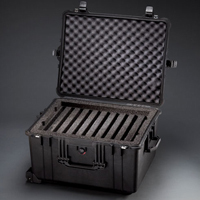 Protective cases are designed to be rugged and handle significant wear and tear. The interior protection is just as important as the case itself. UFP Technologies' specializes in fabricating custom foam interior protection systems for cases. The case interiors are fabricated based on 3D models developed by our engineering team to provide a perfect fit and ultimate protection. 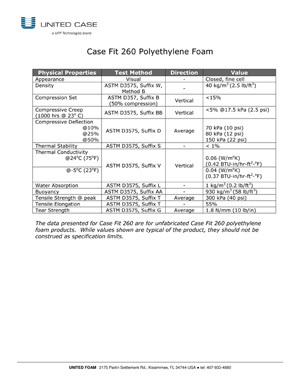 Aesthetically, the small cell structure of Case Fit 260 approaches much more expensive cross-linked polyethylene foams, without the additional cost. UFP Technologies has the capabilities to CNC-route, die cut and water-jet cut case inserts made out of Case Fit 260. In addition, UFP Technologies offers laser-etching services to emboss company logos or product part numbers inside of the case with the use of specialty materials. 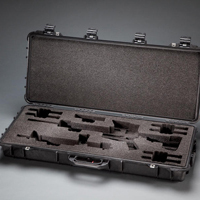 Using Case Fit 260, UFP Technologies has created custom case and foam insert solutions including gun and rifle protection systems, law enforcement equipment and electronics storage and sales presentation cases.